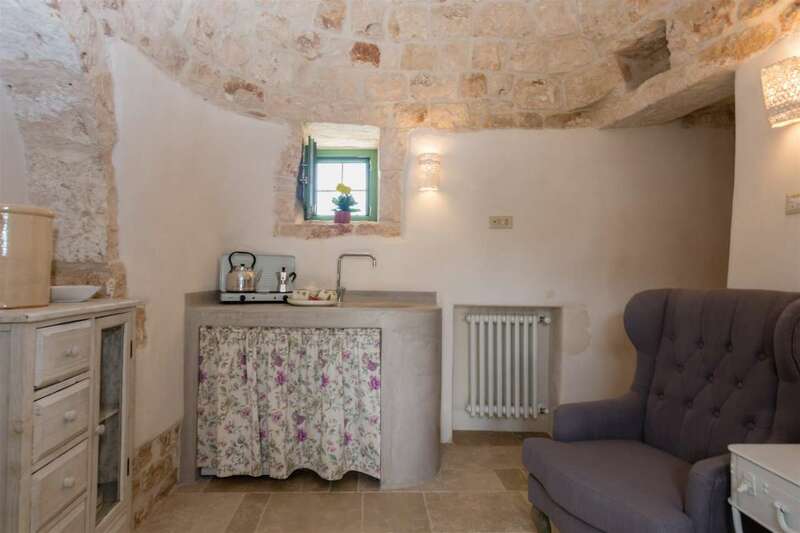 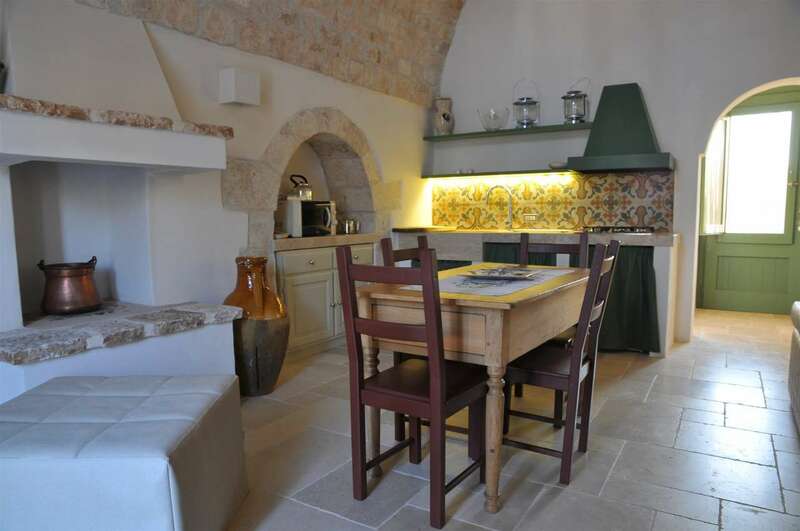 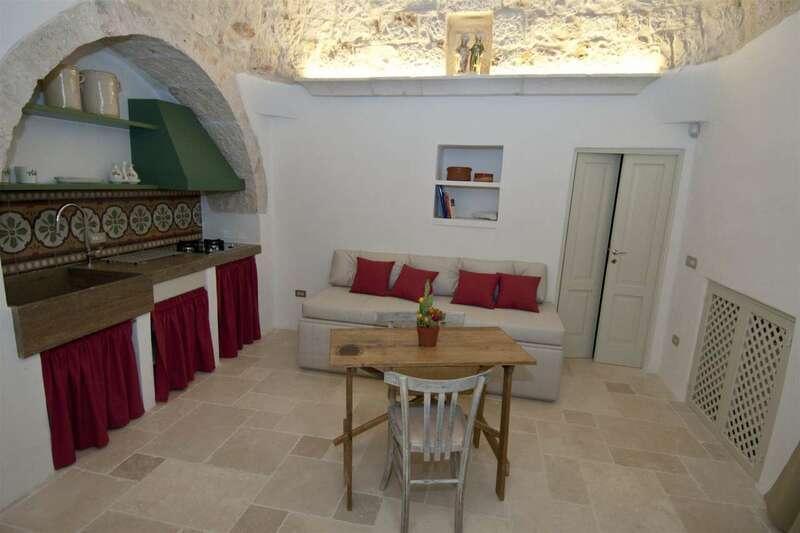 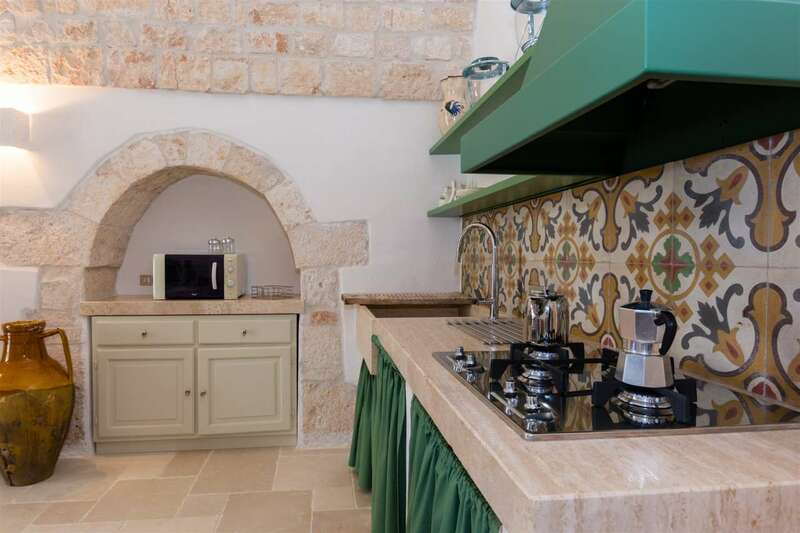 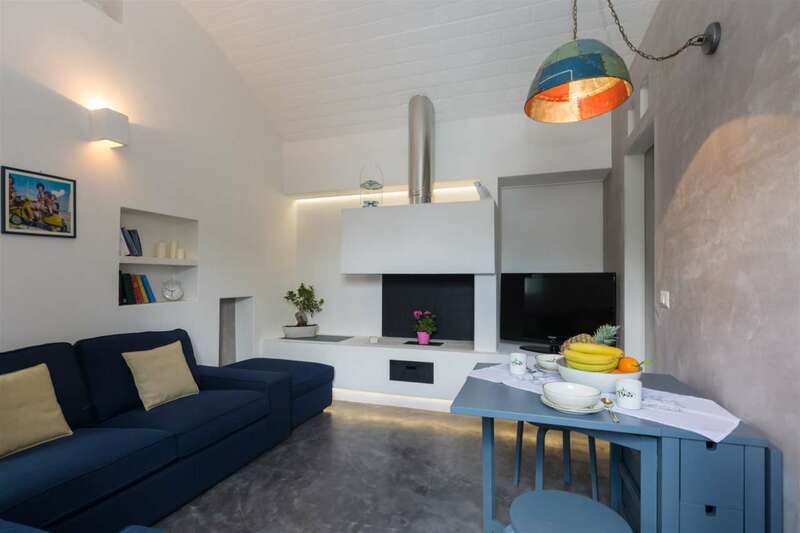 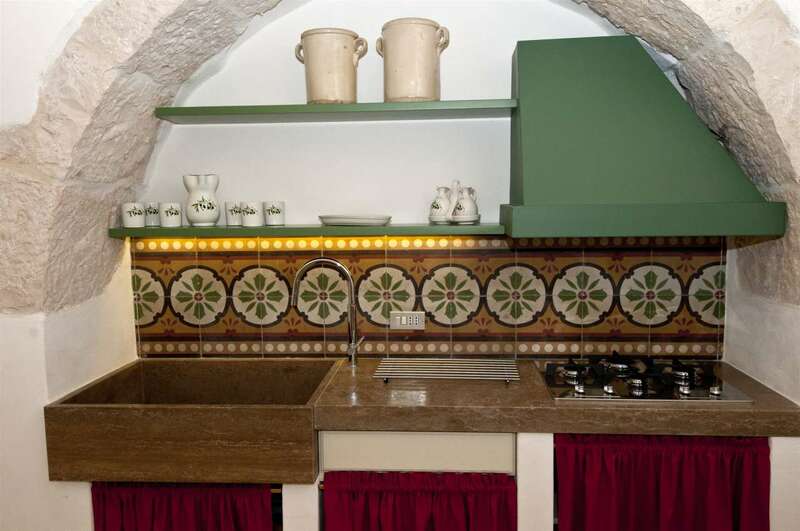 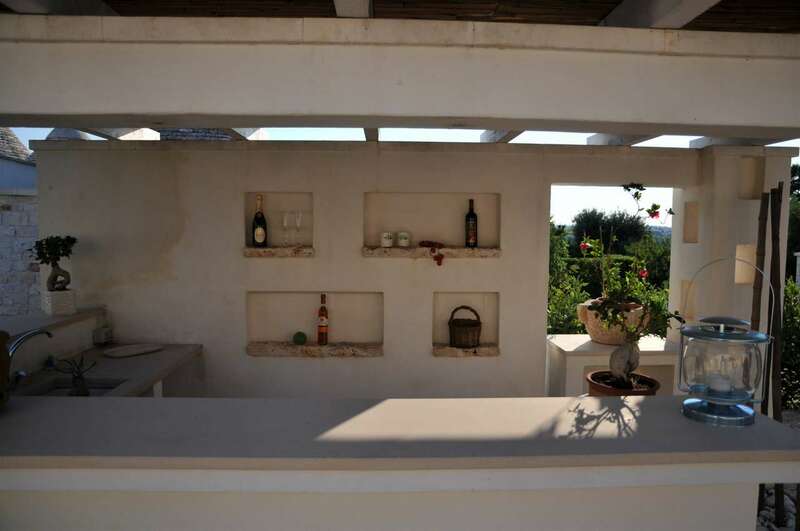 With a total living area of 200m2 with 5 bedrooms, this beautiful complex of trulli and lamie with gardens and swimming pool, are currently used as a B&B, and which are ideally located in a small village in an elevated position on the hills of Locorotondo. 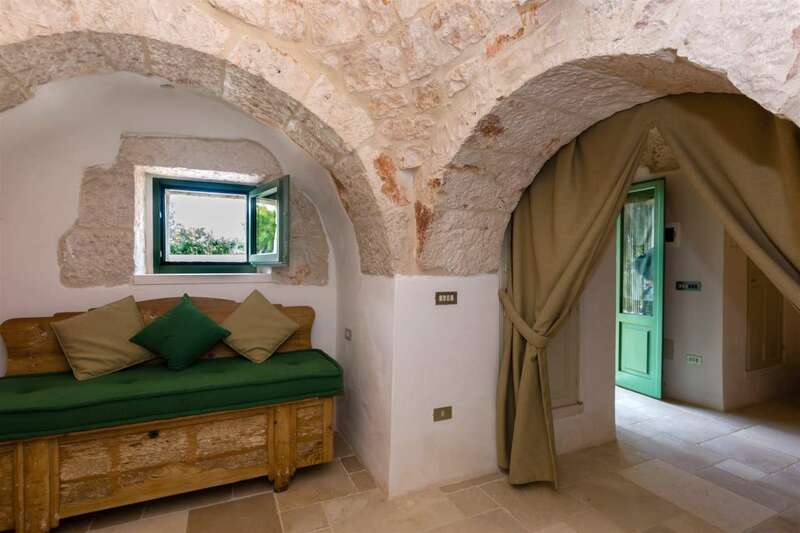 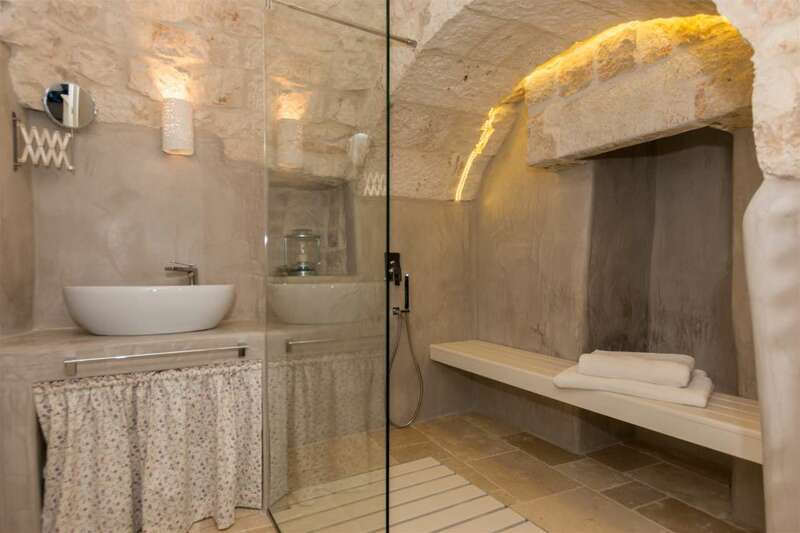 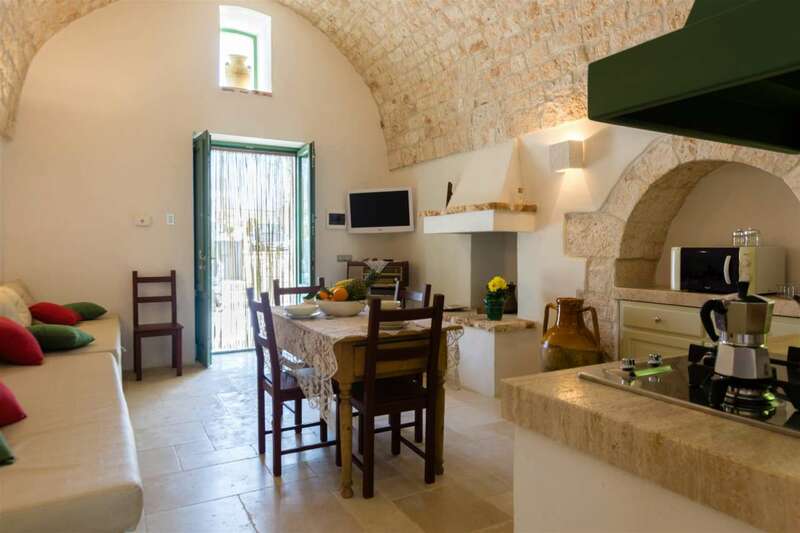 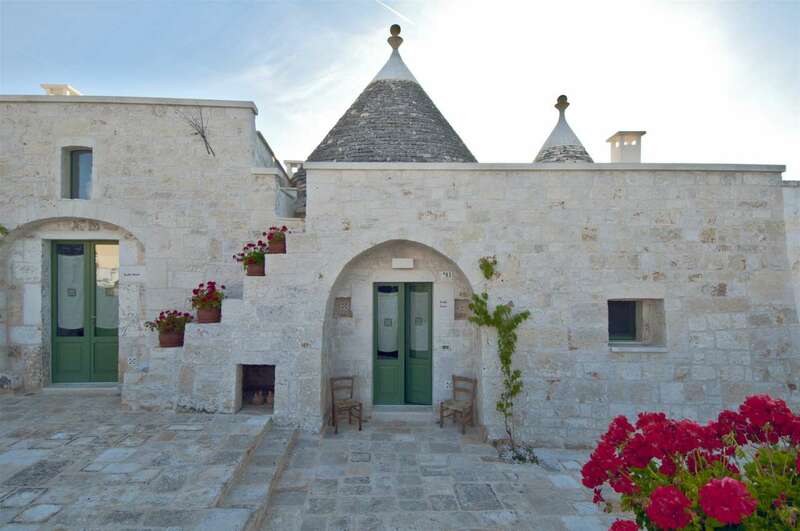 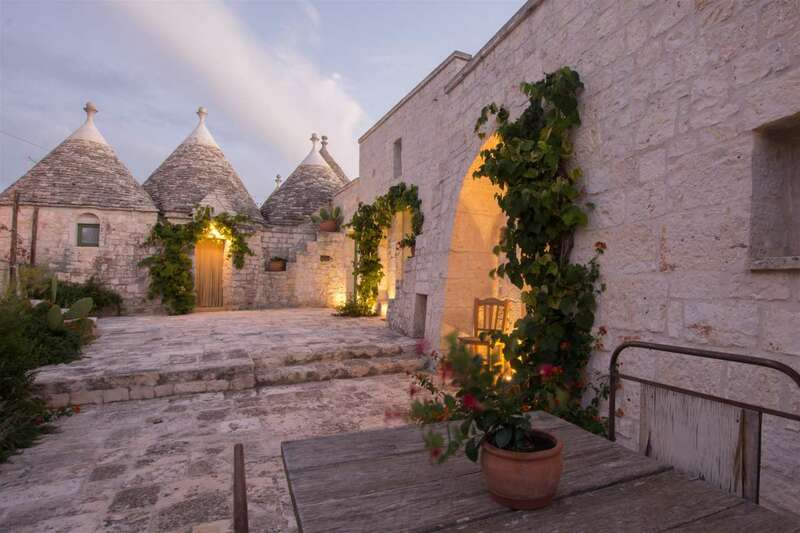 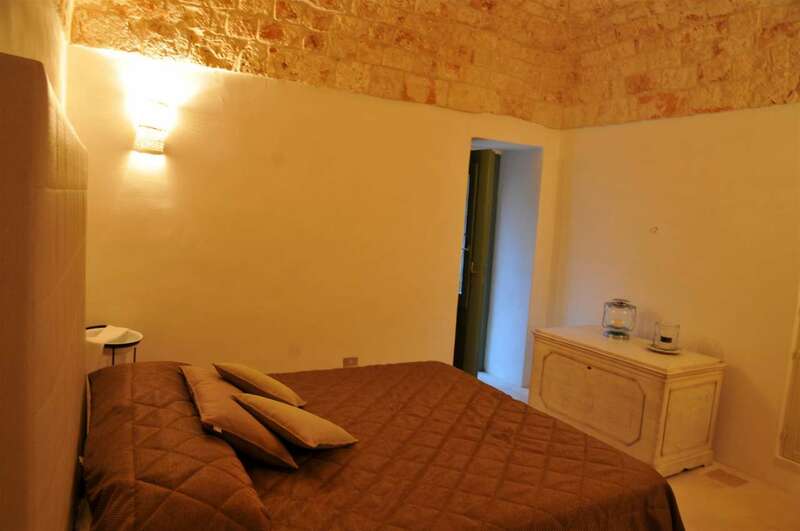 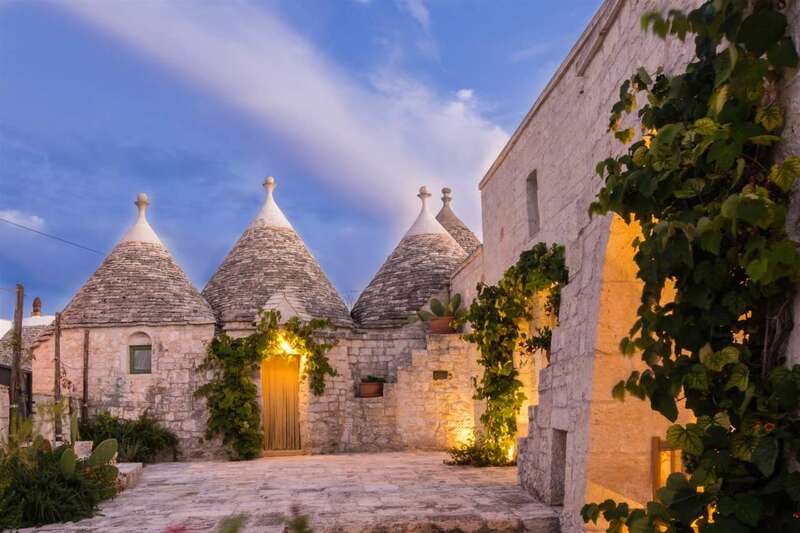 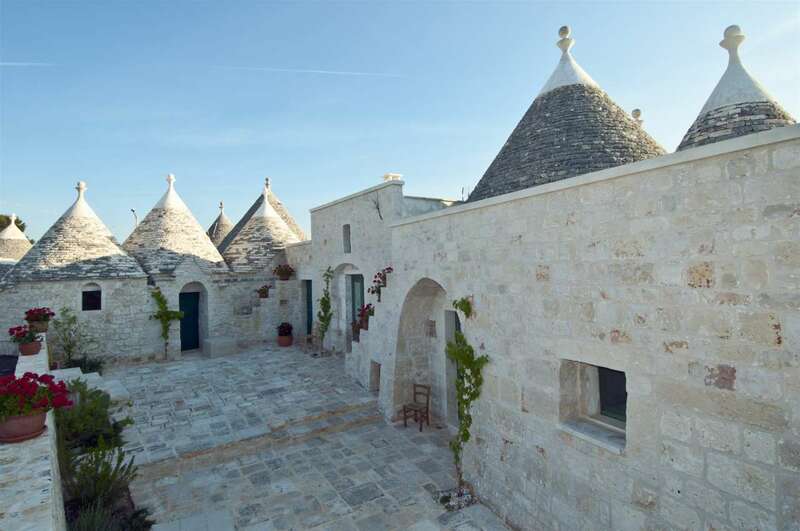 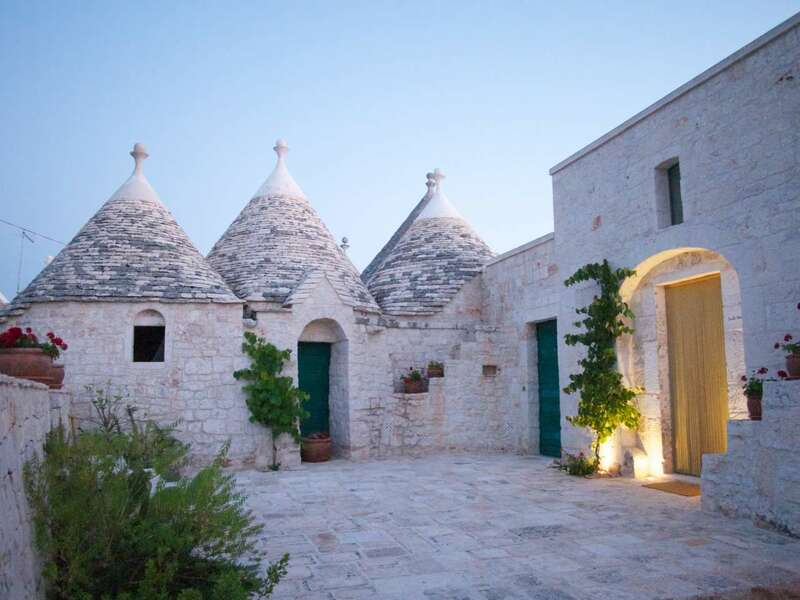 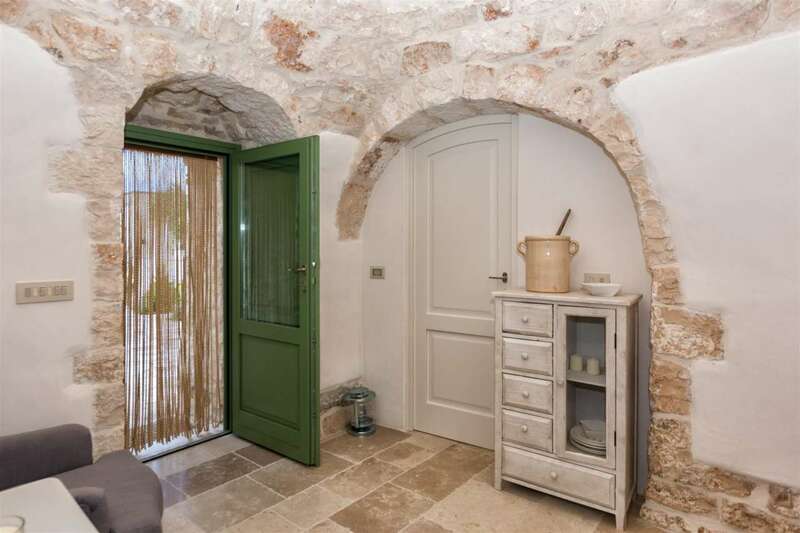 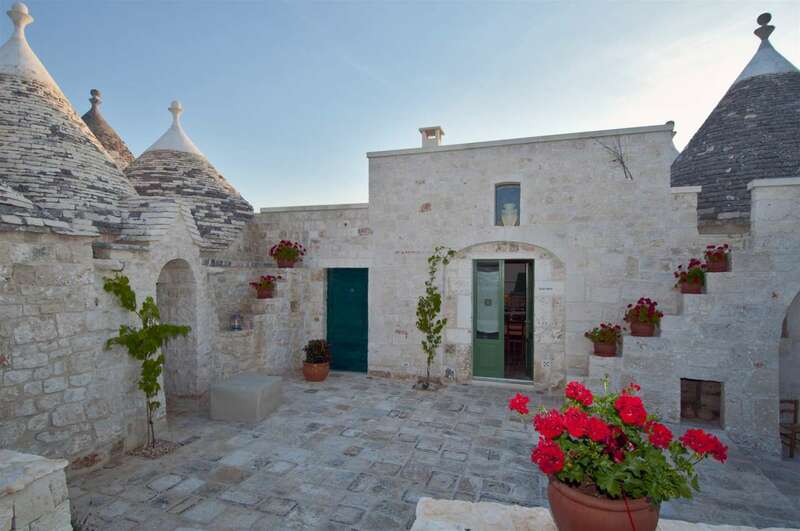 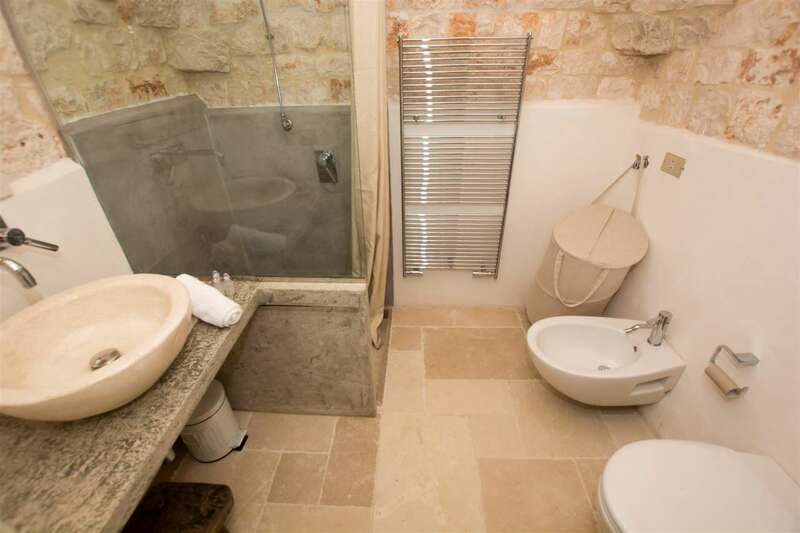 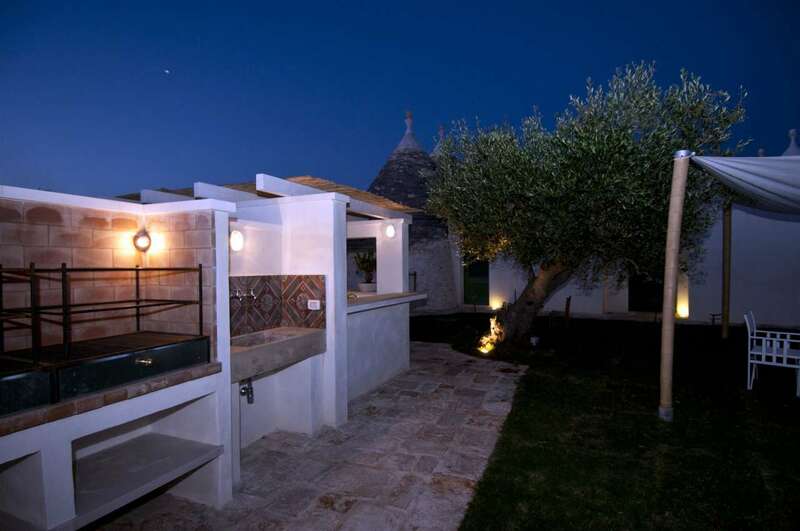 The complex includes 10 trulli with some rooms with vaulted ceilings, all strictly in original stone. 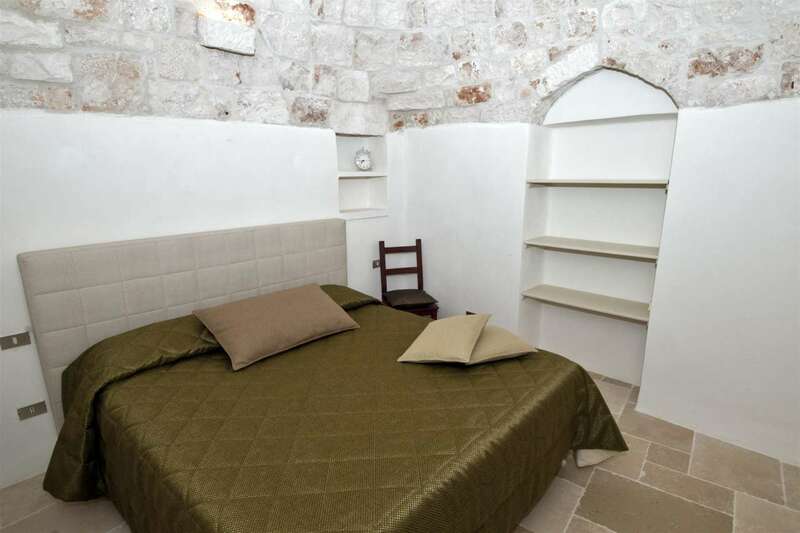 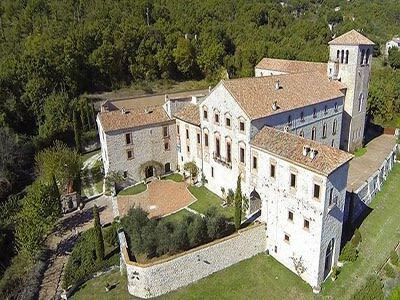 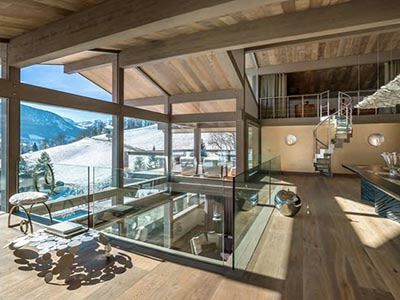 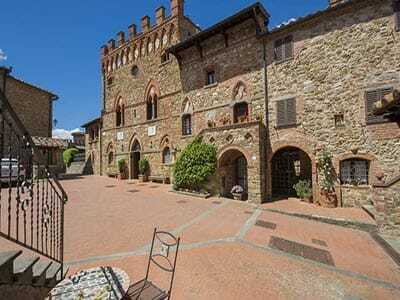 The structure is divided into 5 apartments, each with a private entrance and in total can accommodate 10/12 people. 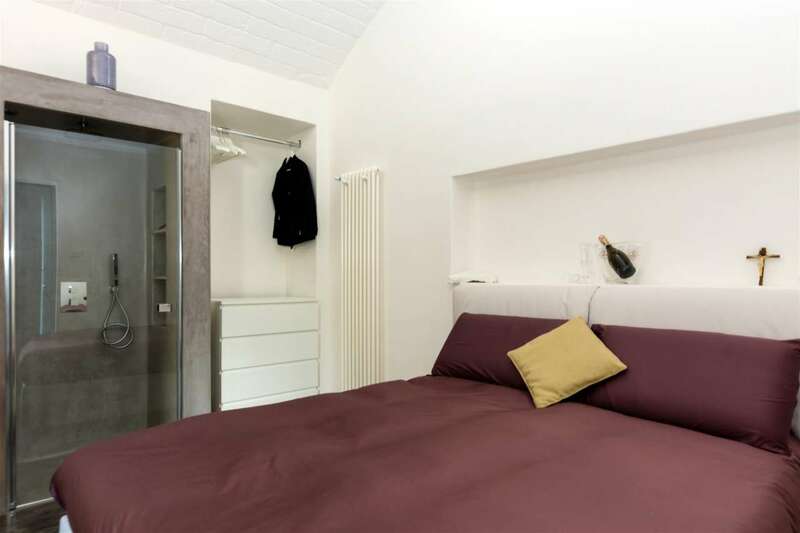 Each unit includes a living area with kitchenette, bedroom and bathroom. 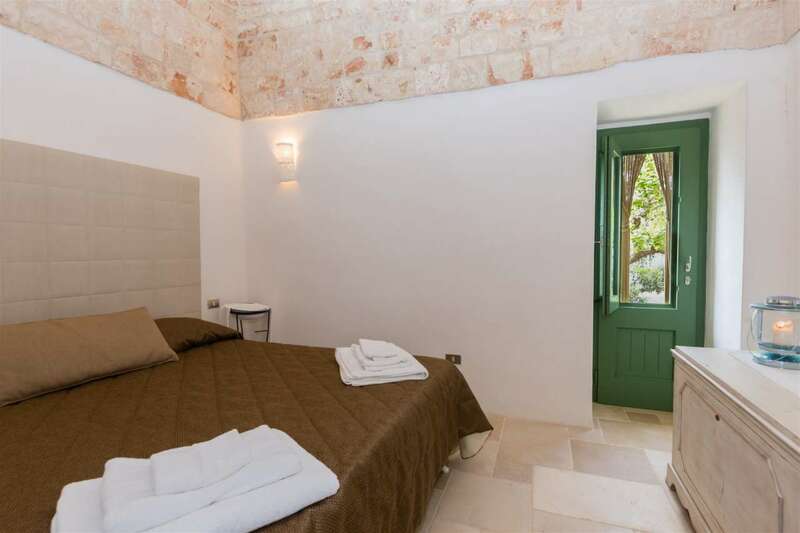 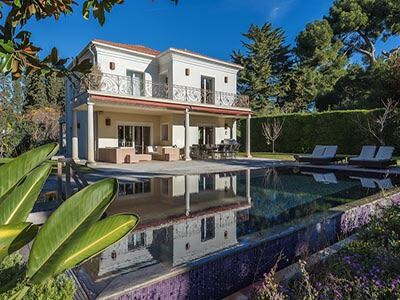 The entire property has been renovated with taste and elegance, combining the tradition of materials with modern details that blend together creating an atmosphere that leads to relaxation and tranquility. 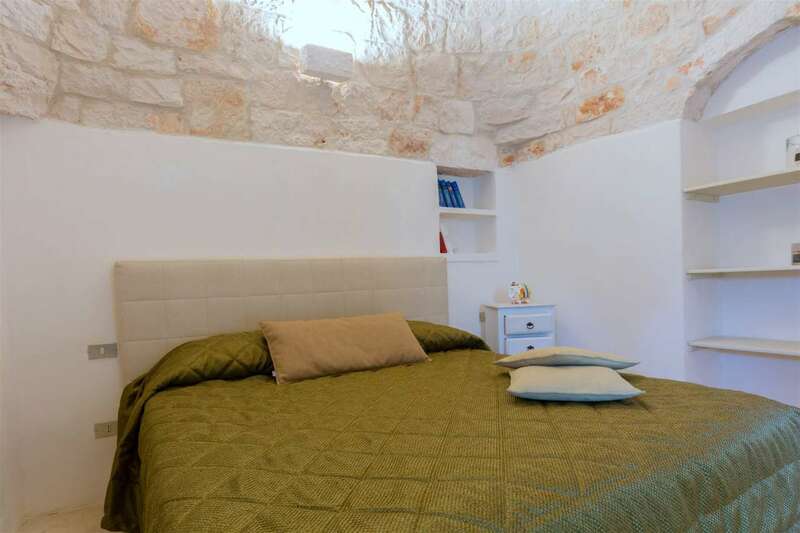 The living areas of the individual units are comfortable and bright, while the sleeping areas with the stone left exposed in the cones and arches, creates warm environments. 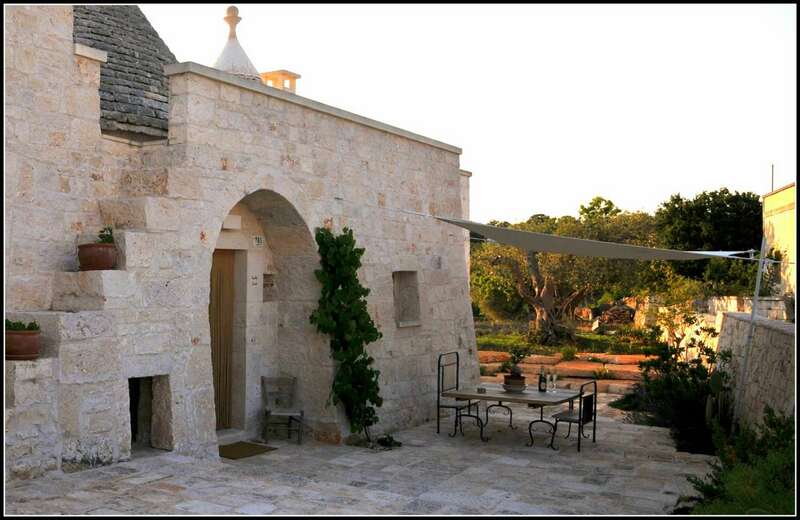 All systems have been built to perfection and are certified. 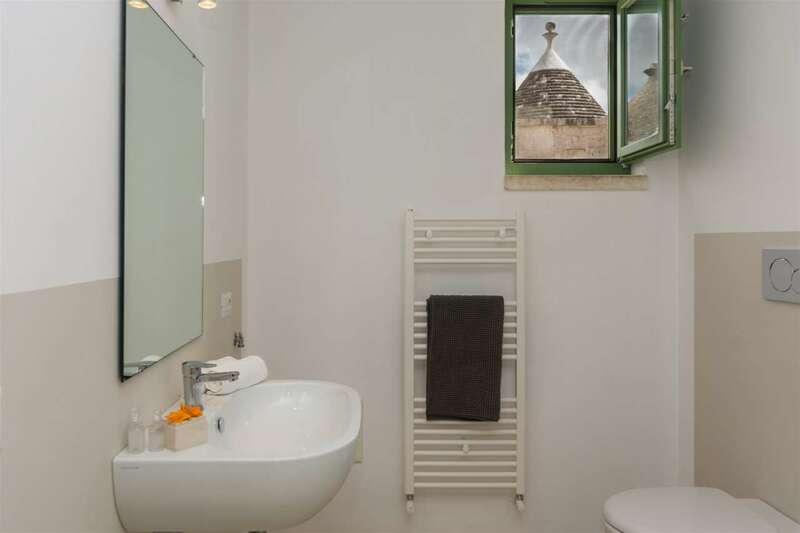 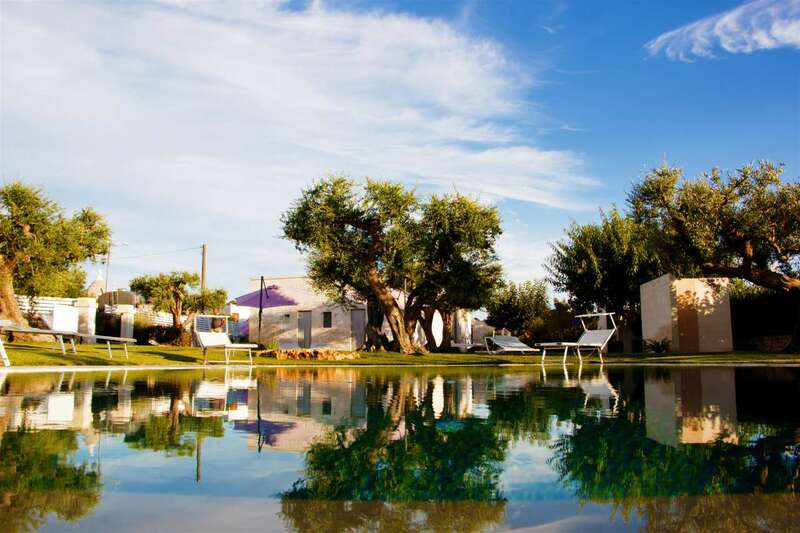 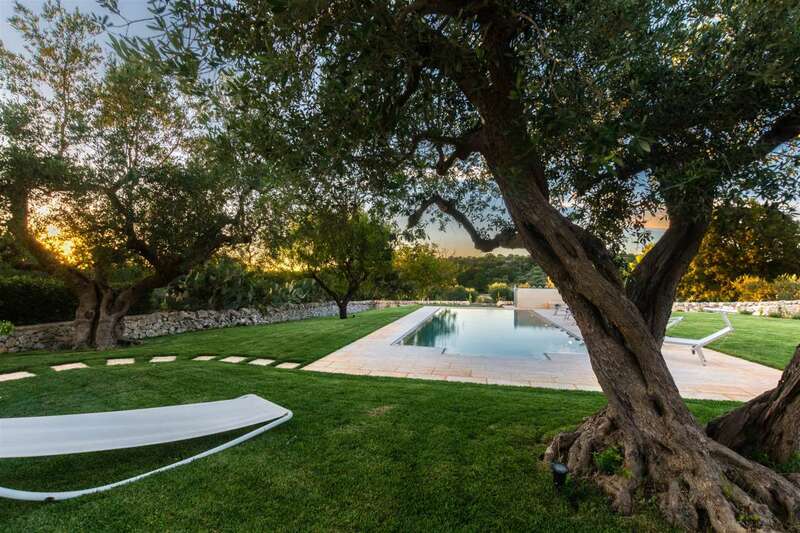 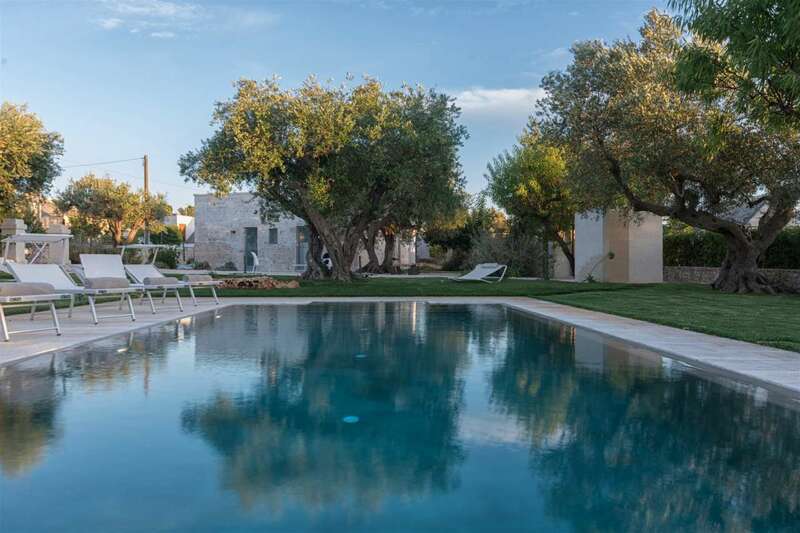 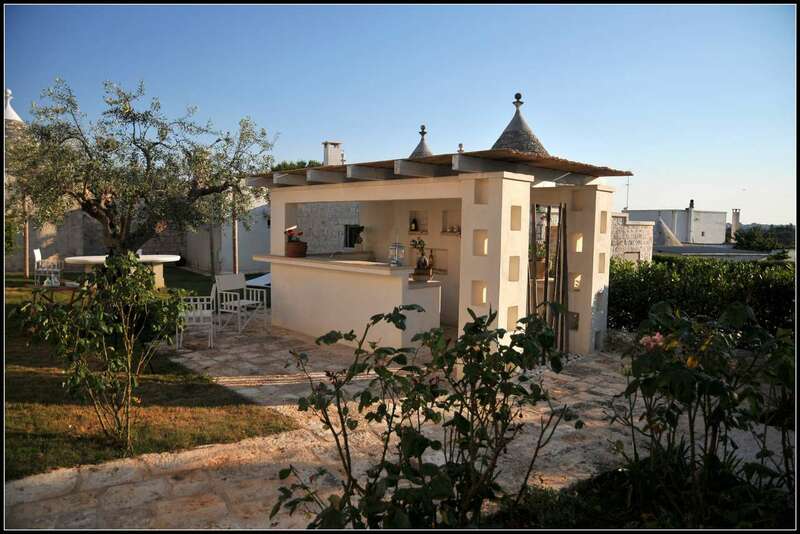 The trulli are surrounded on 3 sides by beautiful gardens with lawns, stone walkways and ancient olive trees. 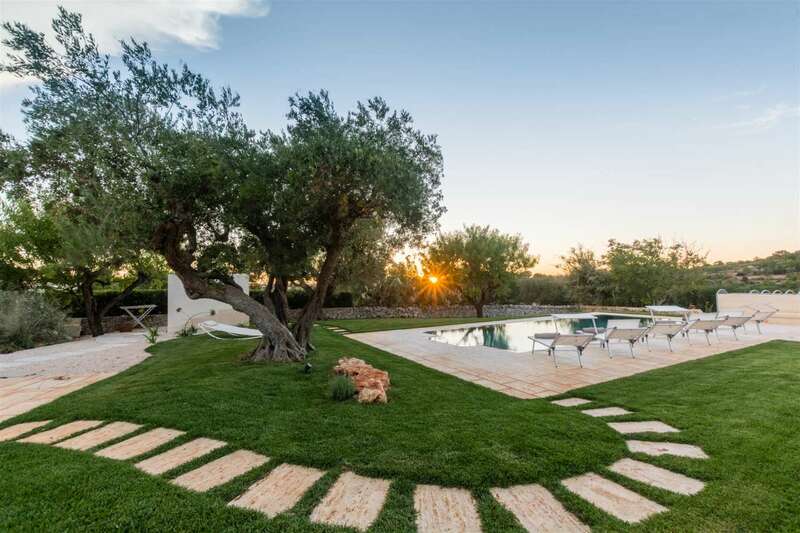 The whole property is fenced and has a private parking area. 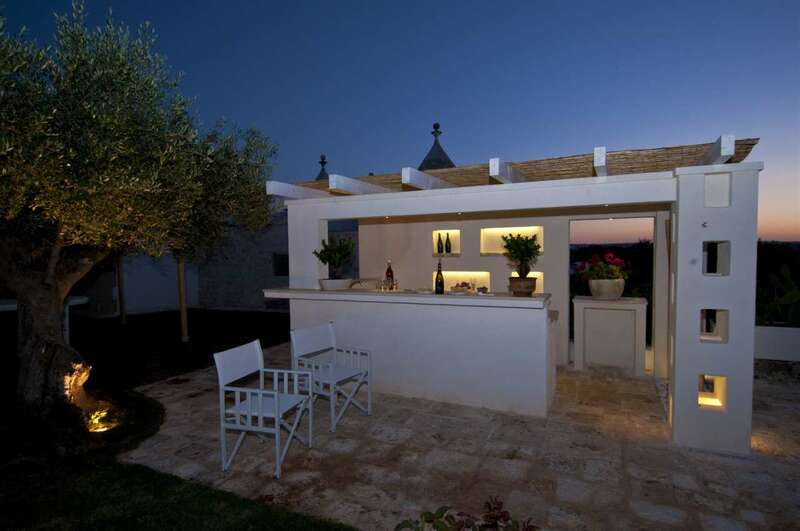 In the garden there is an outdoor kitchen with a barbecue area and a relaxation area near the swimming pool.